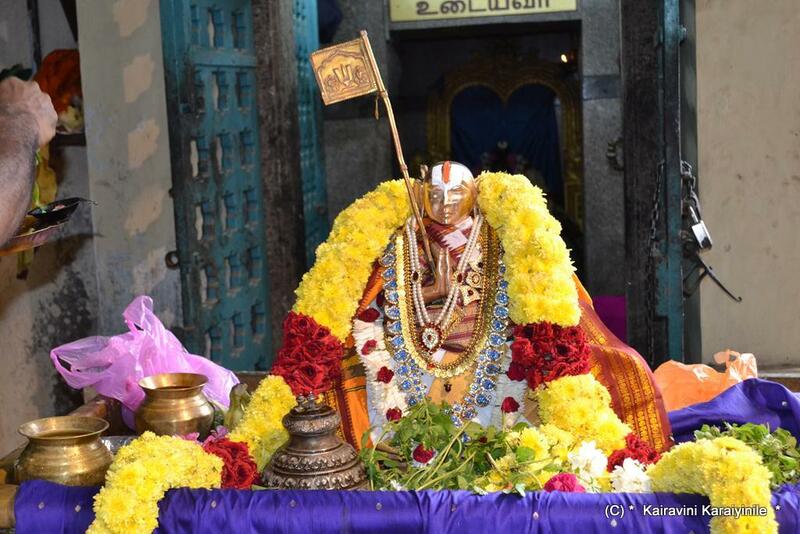 Blessed are our generation ~ a few more months from now, we are to witness and be part of the grandeur celebrations – Sahasrabdi (1000 years) of our Great Acharyar Sri Ramanujar, who was born in Sriperumpudur in 1017. It was divinely the constellation of Thiruvathirai in ascendance in the blessed month of Chitthirai ~ a day more glorious than other days, as rendered by our Acharyan Swami Manavala Mamunigal. We must fall and do service to the lotus feet of Swami Ramanuja ~ immerse ourselves to Him - “ Ramanujam Yatipatim pranamami moordna” - prostate by putting our head at his feet saying I am worshipping (pranamami!). 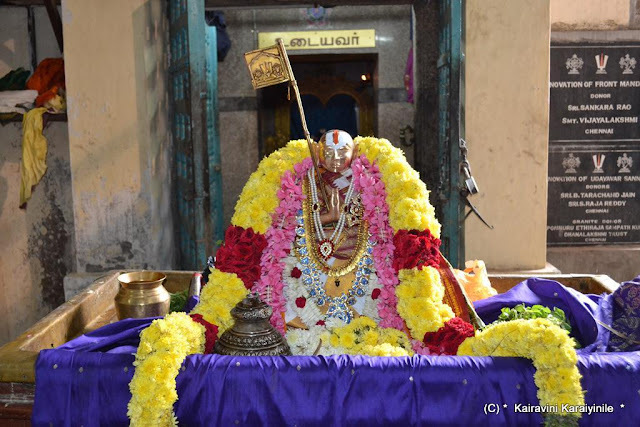 For us nothing gives more pleasure than thinking of our Acharyar Udayvar and we celebrate Thiruvathirai every month ~ today 24th Sept 2016 is also Thiruvathirai nakshathiram. It was on Thiruvathirai ~ almost ten centuries ago, was born Sri Ilayavazhwar later acclaimed to be Ramanujar – at Sriperumpudur. Hundreds of kingdoms have fallen wayside – some reached pinnacle of glory but slowly fading to oblivion – amidst our Acharyar Sri Ramanuja, always has the pride of place continuing to remain at the helm of all Yathis and all devotees. He is a multi-faceted genius – the proponent of Sri Vishistadvaitam; a great social reformer, temple-builder, one who built tanks and lakes; united people; management expert who set in place the management of temple involving thousands of people of various hues. 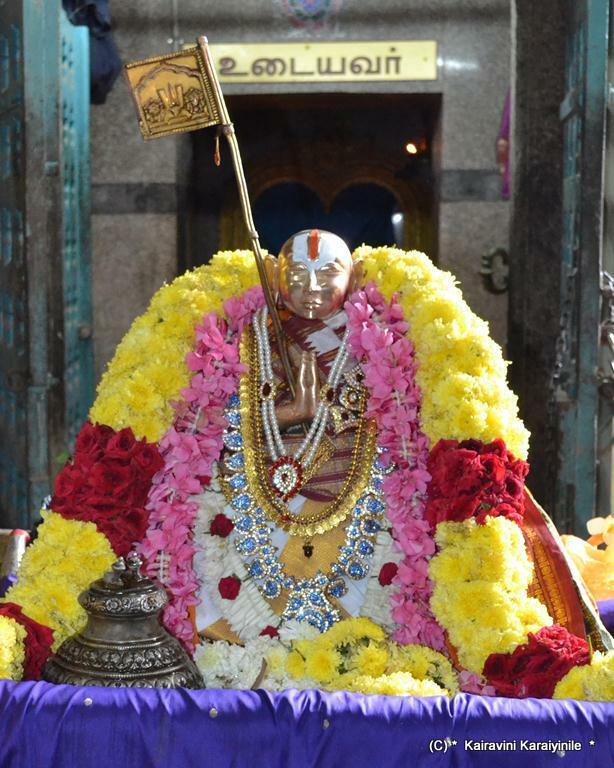 His birth nakshathiram is celebrated widely ~ at every divya desam, for sure there would be rendering of ‘Ramanuja noorranthathi’ of Thiruvarngathu Amuthanar. 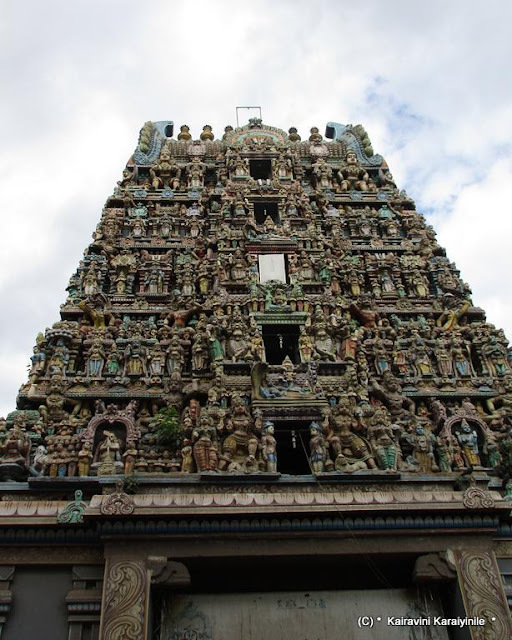 Besides the most divine Thiruvallikkeni Sri Parthasarathi Thirukovil, there are many other temples of Sriman Narayana that are centuries old and many of them are in Parrys area. 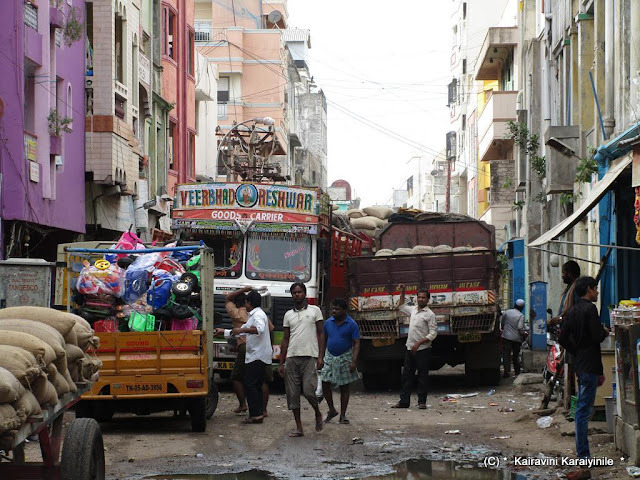 From NSC Bose Road, Flower bazaar PS to Elephant gate area, there are so many narrow lanes and bylanes in what is known as Sowcarpet, a sprawling neighbourhood, far different than the other parts of North Madras. Here once existed Kothawal chavadi, the wholesale vegetable market which since lost its glory once Govt decided to shift it to Koyambedu. 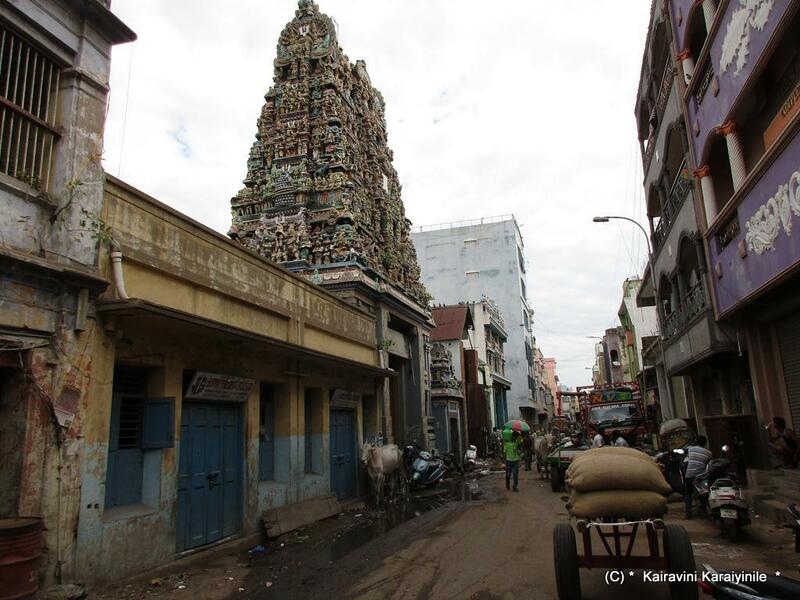 There are so many kalyana mantaps in the narrow streets of Parrys / Georgetown area – roads so narrow that one would find difficult to drive a two-wheeler, but that is only a perception, for there is so much of heavy vehicle traffic transporting various material into Chennai from other parts of India. 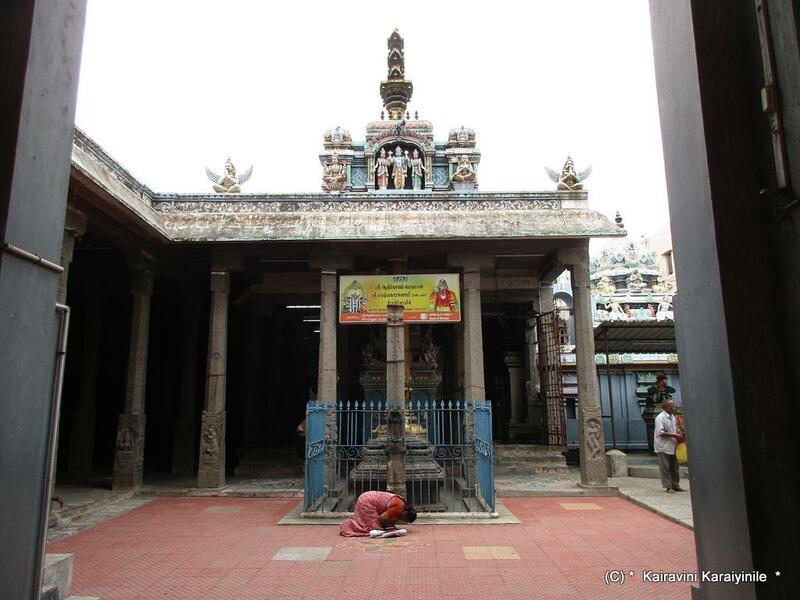 Down under – of the many winding lanes, there is Acharappan Street which has this ancient temple Sri Adhikesava Perumal Sri Bashyakarar Thirukovil - today on the occasion of Thiruvathirai had the fortune of worshipping here. The moolavar stands tall – beautiful Adhikesavar looking alike Thirupathi Balaji – made of Athimaram - Ficus racemosa, a species of plant in the family Moraceae, well known to us as Fig. 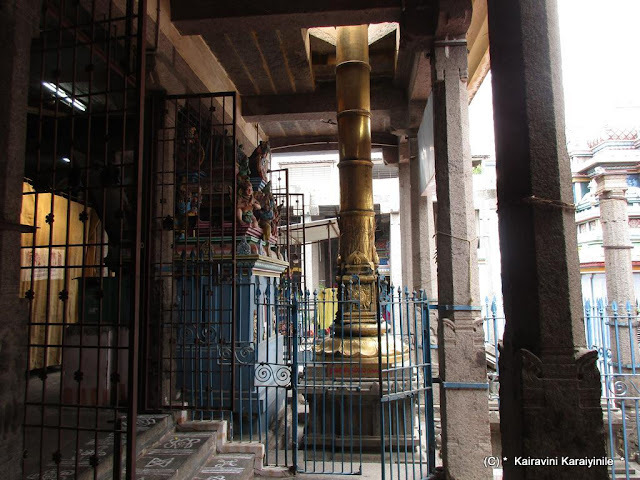 In front of the Perumal sannathi, is Acharyar Udayavar sannathi. 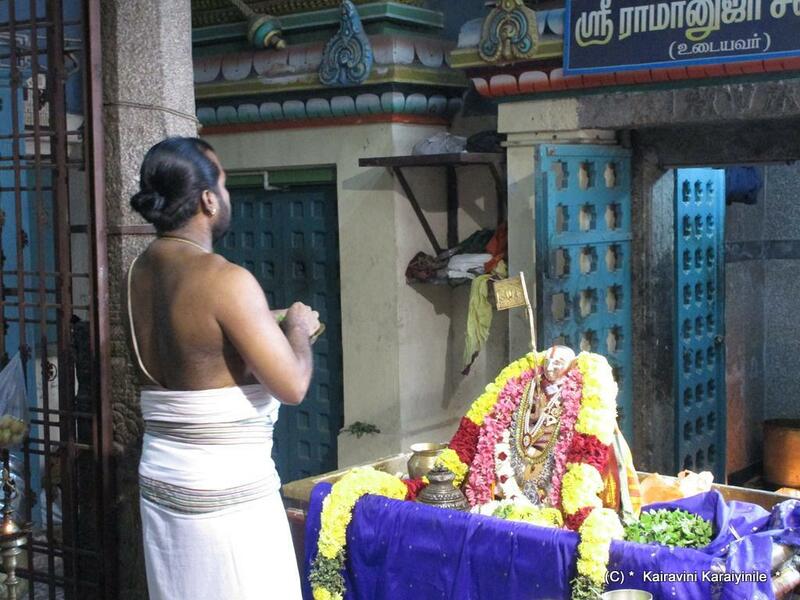 This morning there was Thirumanjanam for Udayavar – was delighted to render alone Ramanuja Noorranthathi. Here are some photos taken this morning.